Aprilia launched their 2013 World Superbike effort in Milan yesterday. 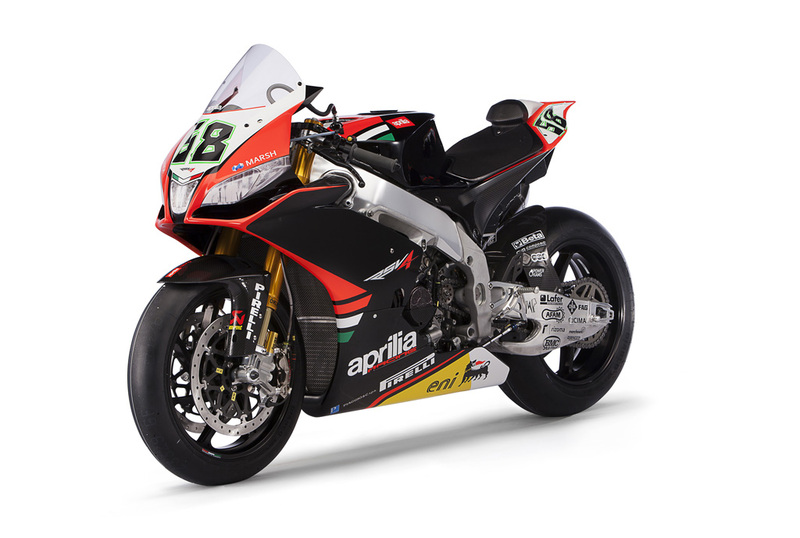 Surprisingly, the Aprilia livery hasn’t changed much, if at all apart from the headlight stickers which are compulsory for WSB machines from 2013. What has changed, however is the Aprilia line up – for the first time since they rejoined World Superbikes in 2009 their number 1 rider is not Max Biaggi. Instead, Eugene Laverty will take over the top spot at the team and he is joined at Aprilia by Frenchman, Sylvain Guintoli. The pair will campaign Aprilia’s flagship superbike, the RSV4 which has won 2 world titles in the last 4 years. The team will participate in tests at Philip Island before the first race at the end of the month. Previous Previous post: Keith Farmer talks to PaddockChatter ahead of his debut BSB season. Next Next post: Guest Blog: Filling the Stoner Void.